After some serious test marketing in warm weather climates, the new AVX from Titleist ($47.99/dozen) is now officially available to players across the country. Manufactured at the same facility in New Bedford, Mass., where the Pro V1 and Pro V1x balls are made, the AVX is aimed at players who prefer a soft feel (softer than Pro V1), lower trajectory and big-time distance. Featuring a multi-layer construction and high-speed, low-compression core, the newest premium-priced Titleist ball is also built with a proprietary thermoset cast urethane elastomer cover that provides control around the greens, exceptional durability and soft feel. "Golfers have spoken loud and clear about the performance of AVX," said Michael Mahoney, the VP of Titleist Golf Ball Marketing. "While our R&D team is constantly exploring new golf ball technologies, only a limited number of prototypes ever make it past the initial machine and player testing phases. AVX stood out from the beginning. Ultimately, it was important to let golfers decide whether this golf ball had a place in our line and the results of our test market were emphatic. 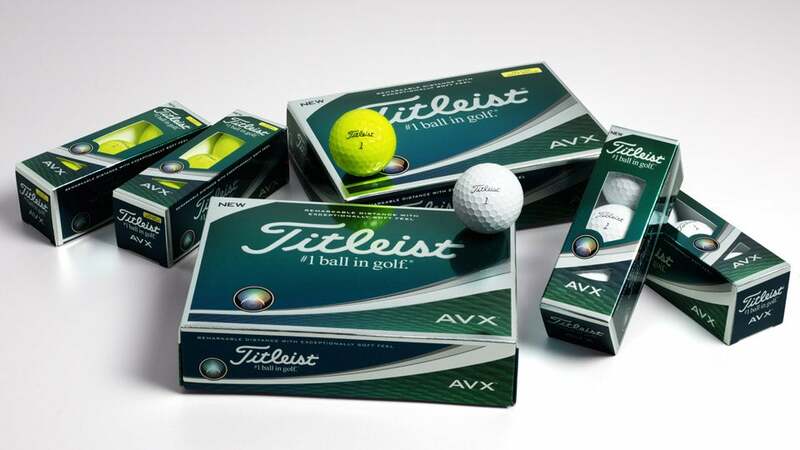 Many golfers were waiting for a product like AVX – our lowest flying, lowest spinning and softest feeling high performance golf ball – to help them play their best." Other features of the new AVX include a unique aerodynamic design for a more boring trajectory and enhanced consistency, a high flex casing layer in the interior of the ball for longer distance and more spin control, and maximum ballspeed overall. Available in both white and high-optic yellow, the AVX is available at retail now and will be available worldwide later in 2018.